Reliable training for dogs and their people! Baltimore Dogworks is a boutique training service for those who want reliable dog behavior solutions. Our no-nonsense attitude and personalized attention create an environment where hard work is rewarded and progress is routine. Using tried and true methods of training, clients receive clear and consistent programming, coaching and online support to help them achieve their goals. This is a place where people and dogs feel good about themselves, because they are doing meaningful work, engaging in meaningful activities, and sharing meaningful relationships with each other. No frills, fads, or gimmicks. If you are looking for real training and real results, and are willing to put in real effort, Baltimore Dogworks is for you. Training for all breeds, all ages, and all problems. Select an option below to learn more about our training programs. There is a magical time for your young puppy where their experiences will shape who they are for the rest of their life. We focus on imprinting appropriate behavior and preventing problems. Remember, dogs don’t grow out of problem behaviors. They grow into them! Skill based training and problem solving for dogs six months of age and older. We help empower owners so that their dogs can thrive. We teach important life skills to dogs and handling skills to owners, while resolving problem behaviors. The best gift you can give your dog is inclusion in more of your life! Not local to the area? Have a crazy schedule? Budget tight, or don’t like to perform in front of an audience? Our online courses make it easy and convenient to train your companion on your own time, and at your location. Self-guided and trainer supported options available. COMING SOON! To educate dog owners on how their dogs learn in order to improve their inter-species relationship. 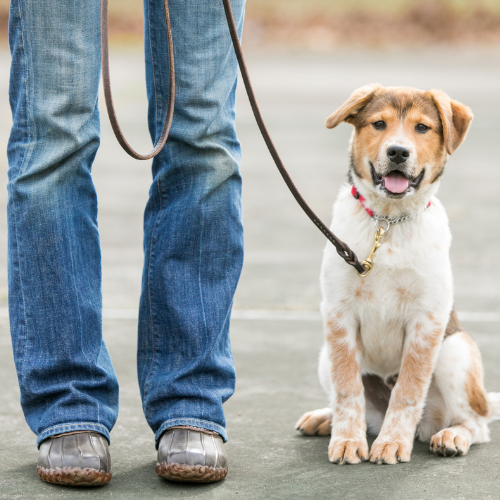 To resolve problem behaviors in as timely a fashion as possible so that dogs and owners can spend their time engaging in more useful, and fulfilling activities together. To increase the level of social responsibility dog owners have towards their community at large as it relates to their dog being a member of society. To help dogs learn how to keep their homes. To help homes learn how to keep their dogs. We major in reinforcement and, minor in punishment. We prefer whenever possible to teach, and motivate the dog to do the right thing. But we do not shy away from the limited use of tactful, intelligent, and non-injurious punishment for dangerous and anti-social behaviors. We challenge owners to be problem solvers, to address issues rather than avoid them, and to use trained skills to help them and their dog to be more agreeable companions to one another, and to allow them to share more of their lives together. We feel that conceptual understanding, and skillful application of training is empowering. We guarantee that our training works. It doesn’t matter where you are starting, or what problems you have. Sure, it might take some folks longer than other to get there, but we're here to help and we won't give up on you. We utilize an independent, third party standard for our obedience foundation training that every dog training with us will be able to meet. It proves that our training works, regardless of breed, size, temperament, or behavioral issue. And it informs and guarantees you of what you can expect us to accomplish, provided that you do your part, in exchange for the fees we charge for training.